Dhaval Group of Companies, had its inception in the early 2000s. The company is started with association of Mr. Bhavesh Parikh & Mr. Sanjay Parekh. The story behind this company is based on simplistic values and principles. The company has evolved over a period of time, with strong associations with partner firms and reputed professionals. The company has its roots in traditional values, combined with dynamic footprint in the Mumbai residential market. The company is associated with prestigious companies like Rustomjee, Wescon & Dattani Group. The company has had a good spell at developing marquee spaces for residences in Suburban Mumbai. 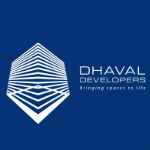 Dhaval Developers is a brand synonymous with strong goodwill, quality & assurance. Having various residential projects in hand, it has laid challenging strategy for the coming decade to change Suburban Mumbai’s skyline. The capacity to enhance, nurture and accomplish has increased with leaps and bounces to result in a lifestyle product.